Here you will find a collaborative team of engineers developing and optimizing polishing processes and products for a wide variety of precision optics. Their focus is on research, development, and testing. Whether in our well-equipped facilities or in the field, UPI Applications Engineers work closely with our customers to understand their unique processing needs. We continually investigate new applications and develop techniques to improve optics production. 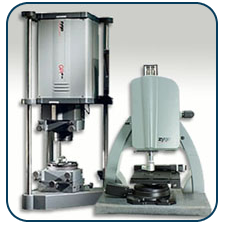 Add to this years of cross-industry polishing experience and a full range of metrology capabilities. The result is our ability to always deliver the highest quality, most advanced surfacing consumables and equipment available to the optics industry today..